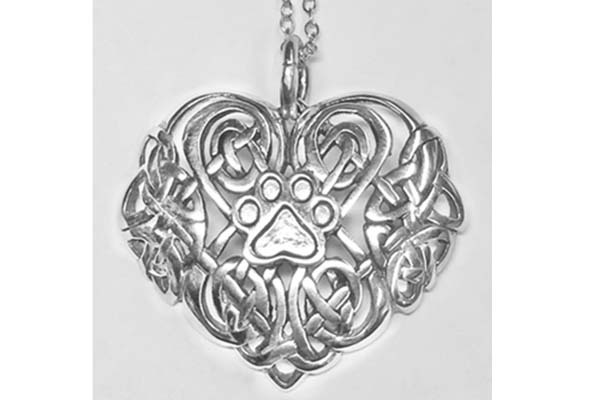 Large, Intricate, Sterling Celtic Heart Pendant w/Puppy Paw®. This Puppy Paw® can even be made into a Mother's Paw® that can hold up to 7 birthstone crystals! Large Sterling Celtic Heart Pendant w/Puppy Paw®. Measures about 1 1/8"h x 1"w and has a large jump ring to accommodate many chain sizes. Birthstone crystal color(s) can be easily added. Heart are only available in sterling silver.